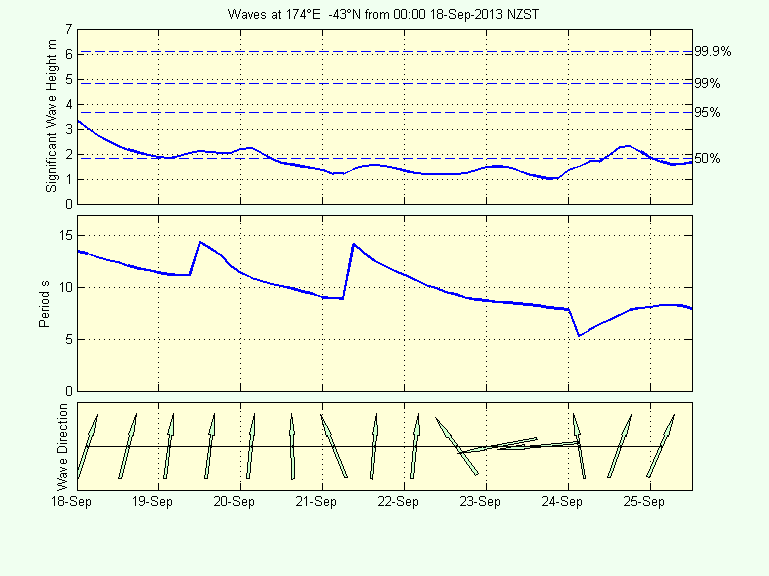 The plot below shows the forecast of wave height, period and direction off North Canterbury (see location map below) for the next 7.5 days from the NOAA WaveWatch 3 ( NWW3 ) model. Notes on the plot are available here. The map below shows two nodes from the NWW3 Wave Model. 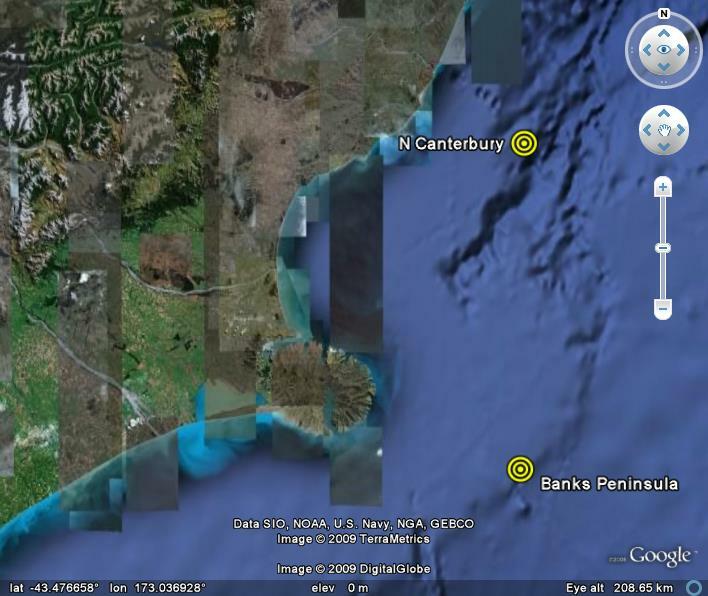 The nodes are spaced at 1.25° in longitude and 1° in latitude.